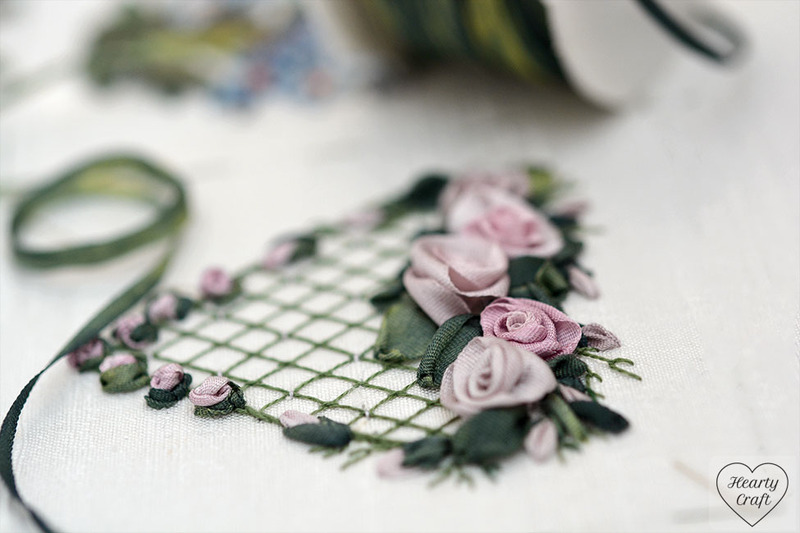 Meanwhile I finished another fragment of ‘Garden Party’ last week and it’s a fantastic heart surrounded by graceful roses in delicate pastel shades. I love stitching Helen Eriksson‘s designs, and this one was published in Inspirations magazine a couple years ago. If you missed my earlier posts, it’s a panel with nine different flowers, and I’ve done six of them already: forget-me-nots, wisteria, foxgloves, rose, violets, and hydrangea. 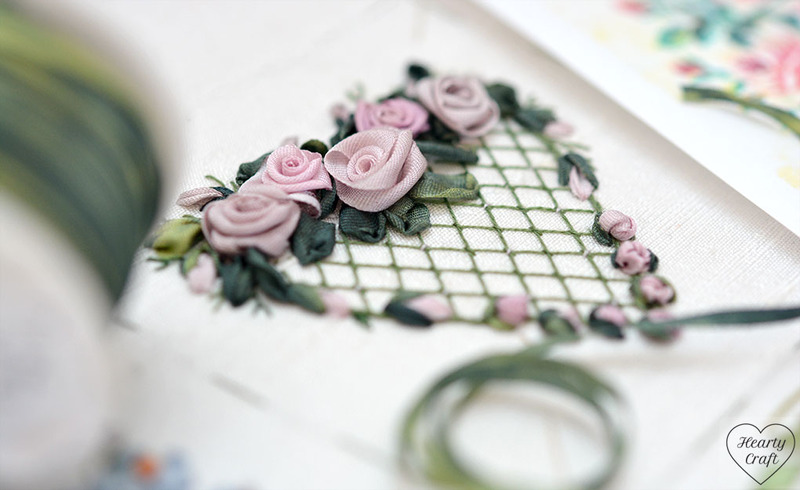 It’s a very beautiful design, good for beginners and there are plenty of different ribbon stitches to try. I enjoy stitching every bit of it! I like the ribbons suggested for the heart, and it’s amazing how different all the roses are. Just using different segments of the same variegated pink ribbon I’ve got absolutely different roses. 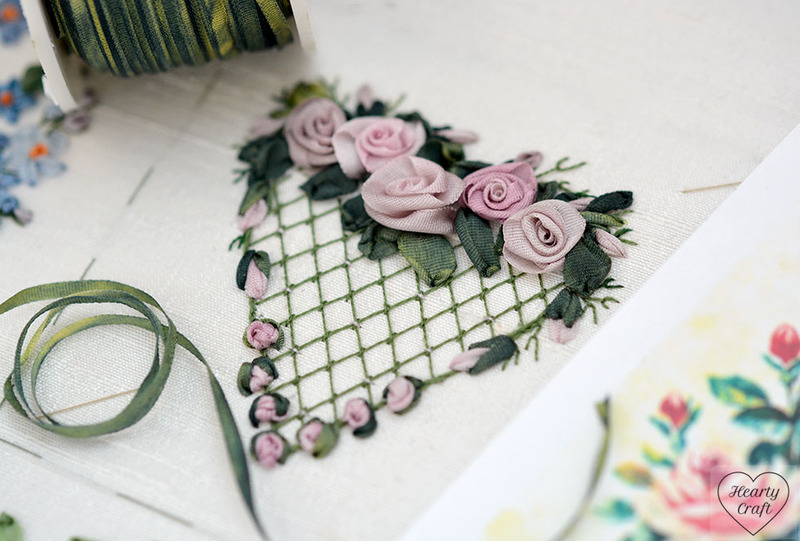 The heart is filled with a trellis stitch. The main trick is to have a good frame tension to make the lines straight and all the cells of the same size. A ruler is also handy for measuring the distance between the lines. It’s a very striking stitch, which needs some practice to get going, but the result worth it. Look at these buds! They perfectly shape the bottom of the heart. And how sweet they are! 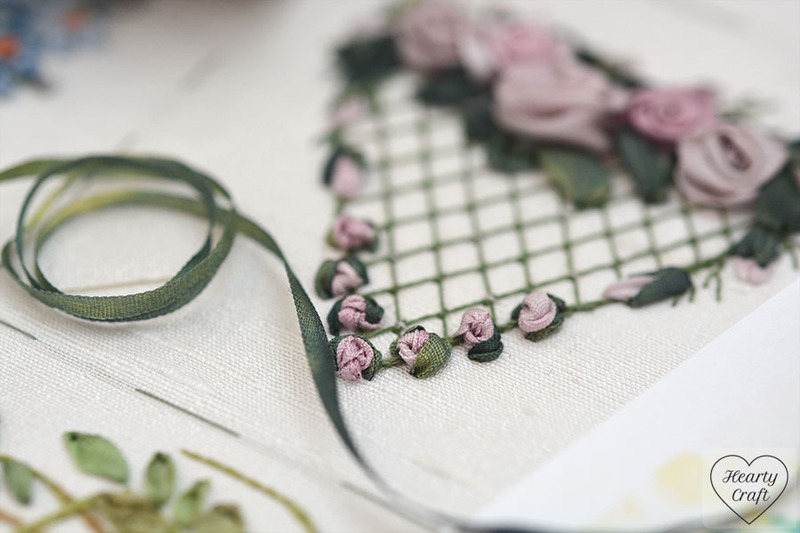 What I like about silk ribbon embroidery, that it’s a true 3D technique giving very life-like shapes, whilst being much quicker than stumpwork! This entry was posted in Blog Posts and tagged Inspiration, Silk ribbon embroidery on 25th August 2016 by Zinaida.